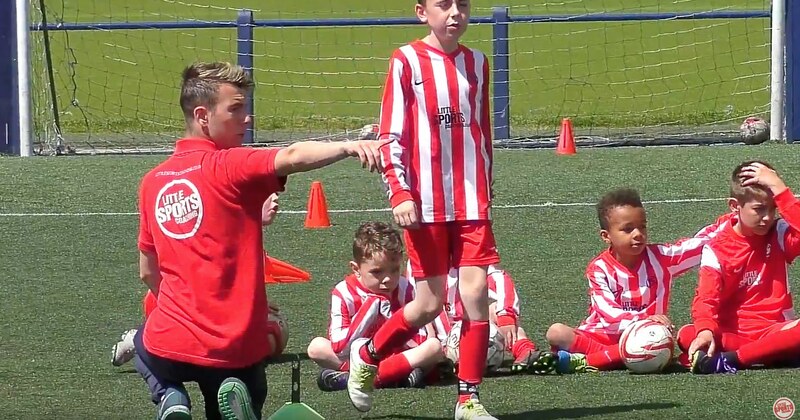 The club was set up in 2008 for the sole purpose of developing the more talented players from our soccer schools in an environment where they could be kept engaged and challenged whilst still enjoying the many benefits the beautiful game brings. In 2013 FC Sports was awarded ‘Charter Standard’ status by The FA, this kite-mark recognises the standards of specifics such as training facilities, coaching standards, policies, procedures and much more. Here at LSC we pride ourselves on our reputation for professional sports development, so for this reason the majority of our players have been handpicked from one of our many schools or academies. 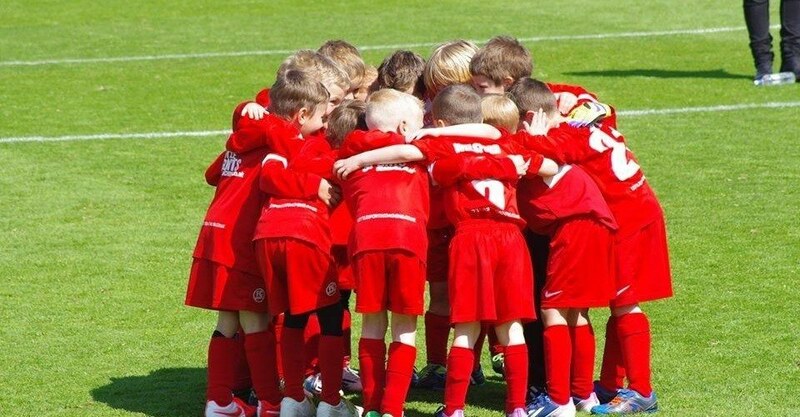 Playing the best players in order to win a game is not something we believe in for grassroots football. We strive to ensure FC Sports players receive equal playing time over the course of each game/season. We NEVER say no to players wanting to play football but we also feel strongly about players being placed in to suitable ability groups to enable development both physically and mentally. We have several teams at every age group with a wide variety of abilities, we will find the right level for each child. 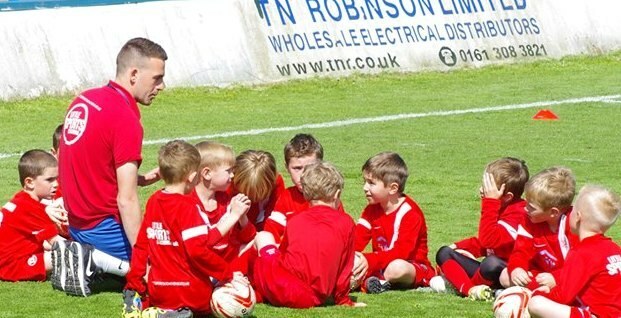 Our No 1 priority is developing our players, not just technically but socially, emotionally and physically. We will NOT put results over developing these areas in any of our teams. 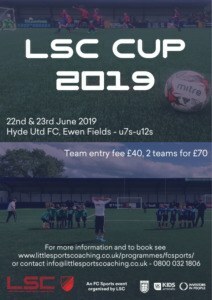 Little Sports Coaching and FC Sports are proud to present The LSC Cup 2019. Building on the success of the last two years we’re offering a fun, professionally ran end of season tournament for u7s-12s team, where every child gets something for their efforts. We’re looking for maximum playing time and as little waiting around as possible. Winners and runners up will receive trophies/medals and all players receive a certificate of participation via email. We’ll also have a individual award to be won for each age group. Age groups are per 2018/19 season, no academy players permitted. We are really happy to continue our partnership with Hyde United and the excellent facilities at Ewen Fields for 2019. In particular the state of the art 4G playing surface at the stadium. The sheltered stands and artificial grass surface makes the chance of cancellation highly unlikely, and the experience for the parents and adults more enjoyable. Full address Hyde United Football Club, Ewen Fields, Walker Ln, Miles St, Hyde SK14 5PL. Download the booking form by clicking on the link below. If you have any questions please contact us at info@littlesportscoaching.co.uk or call 0800 032 1806. Our annual fees are £396.00, this can be paid at the start of the season in one payment (save £15.00) or we can spread the cost over 12 months at £33.00 per month. These fees cover costs such as coaches, facilities, league fees, referees, insurance, equipment, trophies and tournaments. There is also a £15.00 signing on fee payable each season. This covers the admin involved in registering your child with the league & FA other club registrations. Playing kits and teamwear costs vary dependent on age/size. We keep each kit style for a 2 year cycle, players are required to update kits every 2 year when the cycle ends. Kits are ordered directly with the suppliers and delivered to us. We will then handover the kit when all signing on processes have been completed. Players are required to sign on each season, any players not signed on will not be insured under the club policy, therefore unable to play. Whats included in my fees? 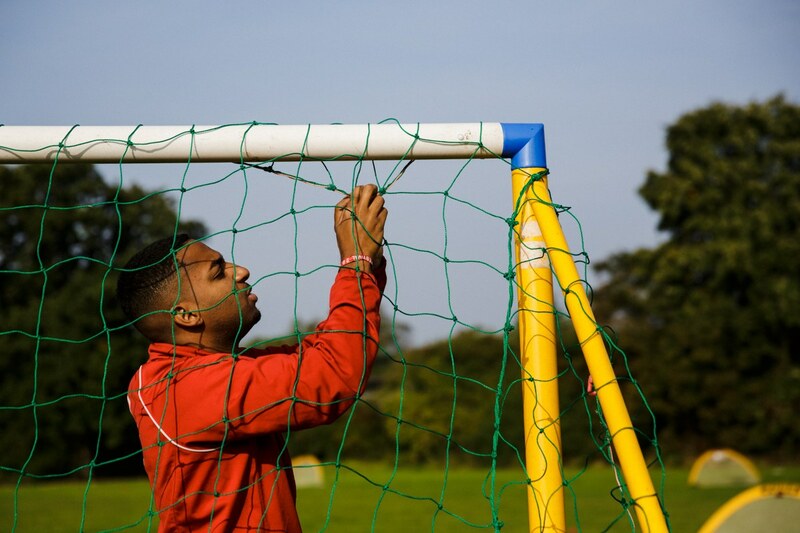 Each team has there own dedicated team manager who will arrange and communicate all training, matches and tournaments via the ‘Teamer’ app. You will receive an invite to join ‘Teamer’ once fully signed on. Your manager will make contact with you on ‘Teamer’ and then doubt introduce themselves at your first training session. When would you like to pay fees? * Select1st of month15th of monthAnnual - save £15, no membership fee to pay!